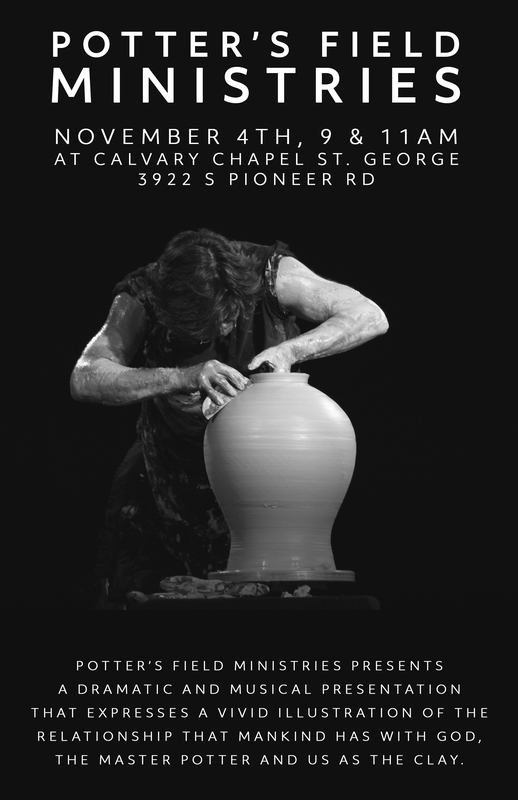 ST. GEORGE — Calvary Chapel St. George invites you to a vivid illustration of the relationship that mankind has with God, the Master Potter, and us as the clay. Potter’s Field Ministries, featuring Michael Rozell and Jordan Grace of Skypilot will be performing Nov. 4 at 9 a.m. and 11 a.m. Together they create a unique audio/visual demonstration of God’s love and enduring concern for His creation. For more information go to www.calvarysg.com.